Founded 1921, The Stamford Garden Club is a member of The Garden Club of America, Inc., the Federated Garden Clubs of Connecticut and the National Council of State Garden Clubs, Inc. The purpose of the Garden Club of America is to stimulate the knowledge and love of gardening, to share the advantages of association by means of educational meetings, conferences, correspondence and publications and to restore, improve and protect the quality of the environment through educational programs, and actions in the fields of conservation and civic improvement. arrangements, a boutique and festive tables! 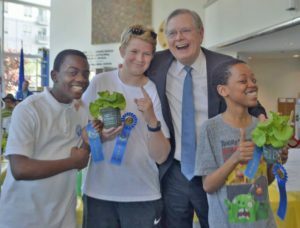 Mayor David Martin with Lettuce Challenge winners. 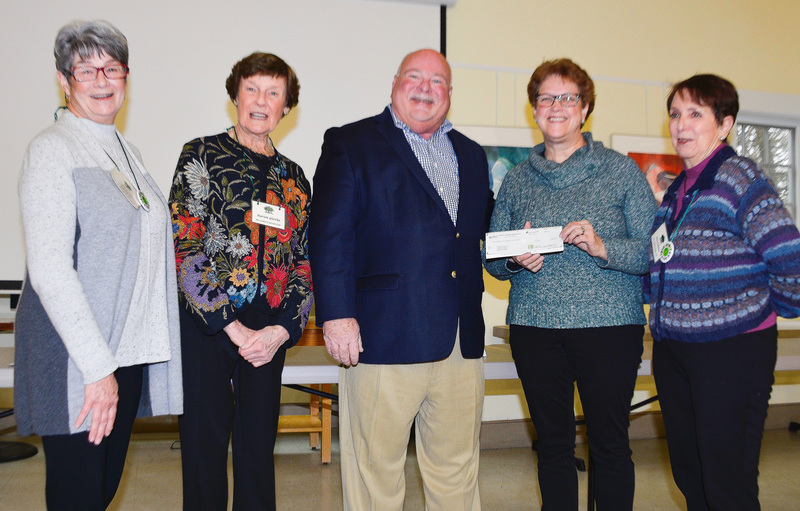 Bruce Moore CEO ELM, Peggy Erlenkotter & Lenore diPalma.